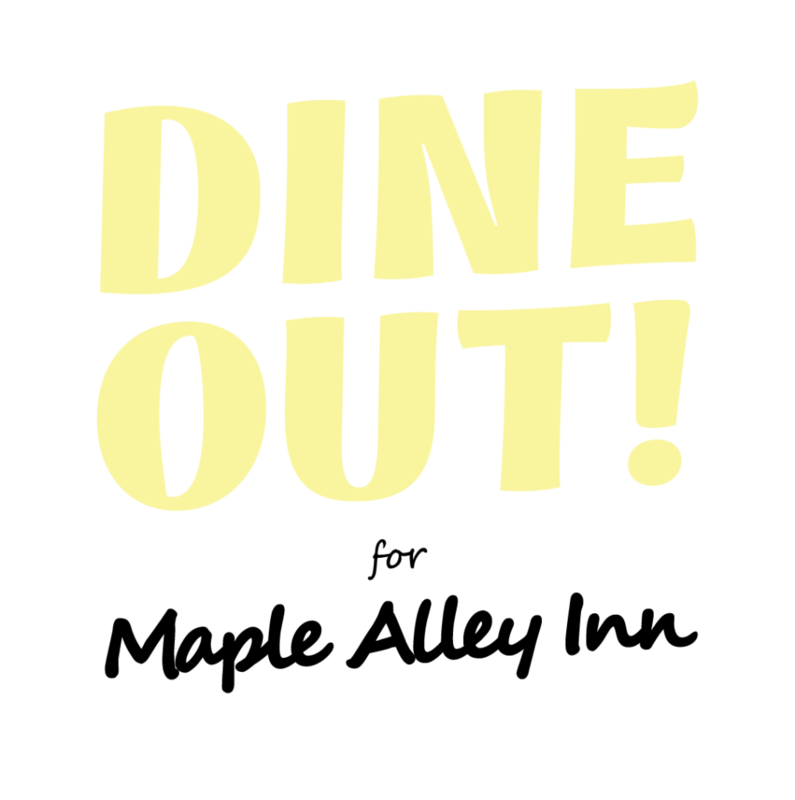 Join us for the 2019 Dine Out for Maple Alley Inn community-wide fundraiser. Local restaurants, coffee shops and more will be donating a portion of their proceeds for one day, Tuesday, May 7th. Show your support by enjoying breakfast, lunch, dinner, desert, a cup of coffee or drink at the participating locations listed below..